Linking up with Kendra at Catholic All Year (because I need blog fodder and because it's fun) for this award thingy that I don't really get. I love my Catholic Mommy Bloggers because they have such a dedication and reverence for motherhood and they're all really sweet ladies who respond to comments. I'm so fascinated by how other people live - that's what I love most about blog-reading. You should also check out Grace, Hafsa, Dwija and Bonnie - my other favorite Catholic Mommies. 1. Where do you live? And why do you live there? Cleveland, Georgia. My brother went to college here and we sort of fell in love with the area then. He moved here in his early twenties. It took a lot of twists and turns and a failed marriage for me to get here but I can't imagine living anywhere else. This is the kind of place where people hold doors for you, road rage is rare, there's hardly ever any traffic (except for around the square in Cleveland and at the 4 way stop when the Shriners collect). People smile at you and shop keepers remember you and appreciate your business. 2. What are you currently watching and/or reading? I'm currently reading a very long, thick, book about Queen Elizabeth and Prince Phillip. It's interesting but seems like I'm never going to finish it. I watch a lot of How I Met Your Mother and Grey's Anatomy during the week and I'm obsessed with CSpan Book TV on the weekends. I'm not. Both of my husbands were raised Catholic but only the second one was a practicing Catholic. We were married by a priest in Las Vegas and the marriage only lasted 14 months so... there's that. My aunt and uncle are Catholic. His mother lived in Rome and they still own property there. I was born Presbyterian and raised Baptist. I identify most closely with the Baptist faith but mainly I consider myself a follower of Christ, regardless of denomination. I'm going to adapt this question to my own spirituality. I was raised in church but was an adult before I really came across people who had more of a relationship with Christ. As a kid/teen He seemed to be a historical figure that we learned about and talked to but didn't really KNOW. I learned and yearned to make Him a part of everything I do, not just someone I "visited" on weekends. This is another reason why I love the Catholic Mommy Bloggers (such as Kendra) because they live their faith every day. That's precious to me. 5. How many pairs of shoes do you own? I'm not much of a shoe person to start with and my back problems make it hard for me to wear anything that isn't low heeled and comfy, preferably non-skid. That being said... I've got a couple of pairs of flip flops, my favorite Gator crocs, Sketcher Mary Janes that I wear ALL the time, some good tennis shoes and probably a dozen pair of dress shoes that never get worn. 6. Are you a good dancer? One of my sons once said to me, "Mom, don't dance, you'll ruin the song". Does that tell you anything? 7. Who usually drives, you or your husband? No husband so it would be me. Neither of my husbands ever rode with me that I can remember. I generally prefer to drive because I'm a nervous passenger. 8. What's your favorite holiday and how do you celebrate it? Thanksgiving because it's all the family with none of the stress of gift-giving and receiving. We've evolved to a sort of different Thanksgiving over the past decade as kids have gotten older and my back has narrowed my world. I prefer a big family gathering with more food than you can possibly eat. Hopefully we'll have Thanksgiving here this year - last year I spent the day mostly alone. 9. Which is correct? Left or right? 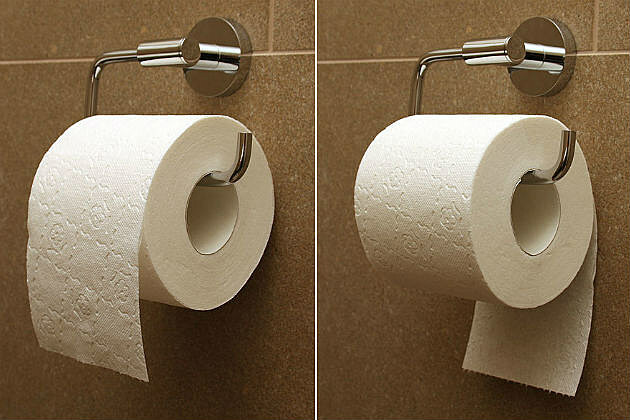 Left but for me, if I manage to get the roll on the holder then I'm doing good. 10. Do you have any scars? A big Harry Potter scar on my forehead - except it's not in the shape of a lightning bolt. A few tiny scars from various surgeries. Lots of stretch marks. 11. What's the most famous thing you've ever done? I had a tongue twister published in Highlights magazine when I was a kid. I had a letter to the editor published in the paper once. My blog was once in the top trending blogs on AOL for a hot second. Other than that... I just fly under the radar. The next part of this is that you're supposed to tag people to do this and make up your own questions. I hate putting people on the spot like that and TRULY most of my blog readers are not blog writers. Instead... I'll open up the floor for you to share who you are and where you live in comments so I'll know more about my *Peeps*. Love and hugs, happy weekend, y'all! Yay! 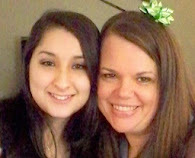 Another non-Catholic who loves Catholic blogs! "If I get it on the roll I'm doing good." Thanks so much for linking up! I, also, am not a very good dancer, but I don't think my kids have noticed yet.